The Green Line had its busiest month ever in October, keeping the light rail line on pace to set another annual ridership record. More than 1.4 million rides were taken last month, topping the previous high, set in September, by more than 127,000 rides. October's average weekday ridership was just over 49,000 rides. Nearly 11.6 million Green Line rides have been taken through the end of October, a 4.5 percent increase compared to the same time last year. 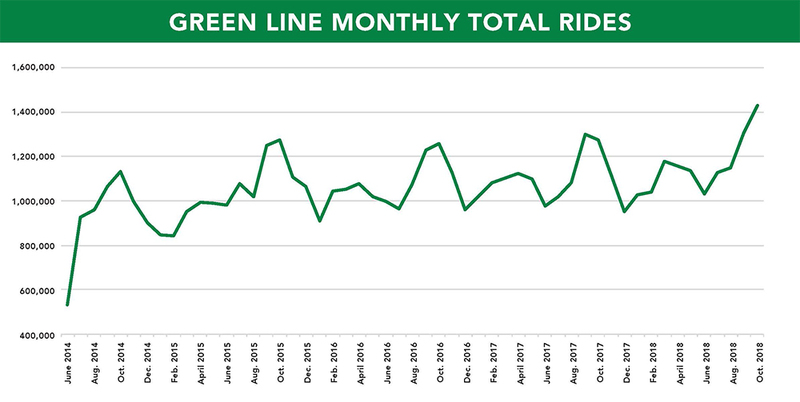 Except for February, monthly ridership records have been set every month this year on the Green Line. Blue Line ridership has increased nearly 4 percent through the end of October, to nearly 9.4 million rides. The Blue and Green lines each saw record ridership in 2017. 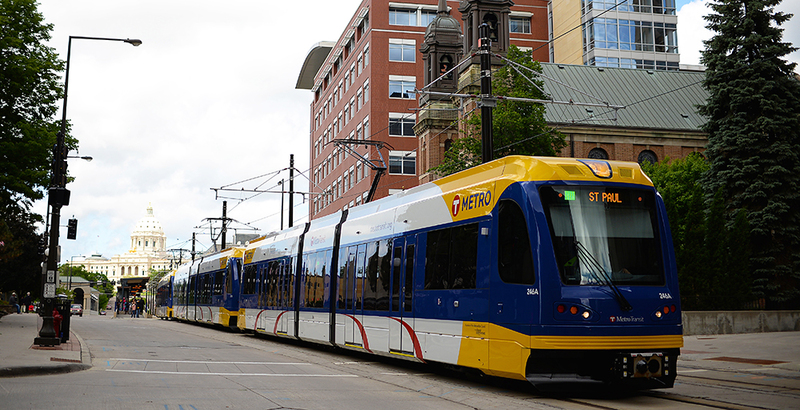 Light rail ridership has increased in recent months due to special events and ongoing construction on Interstate 35W, which has led more people to use the Blue Line. A popular pass program also reached a new milestone last month. Metropass customers took nearly 1.2 million rides in October, which is believed to be the highest monthly total since the program began 20 years ago.